North Vancouver, B.C., September 5, 2017. 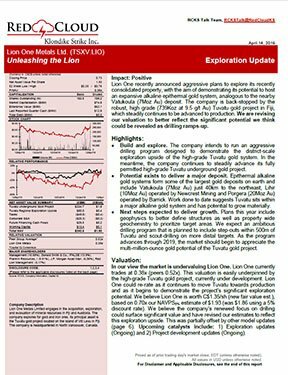 Lion One Metals Limited (TSX-V: LIO) (ASX: LLO) (OTCQX: LOMLF) (FSE: LY1) (the “Company”) is pleased to announce the appointment of Mr. Kevin Li, P. Eng. 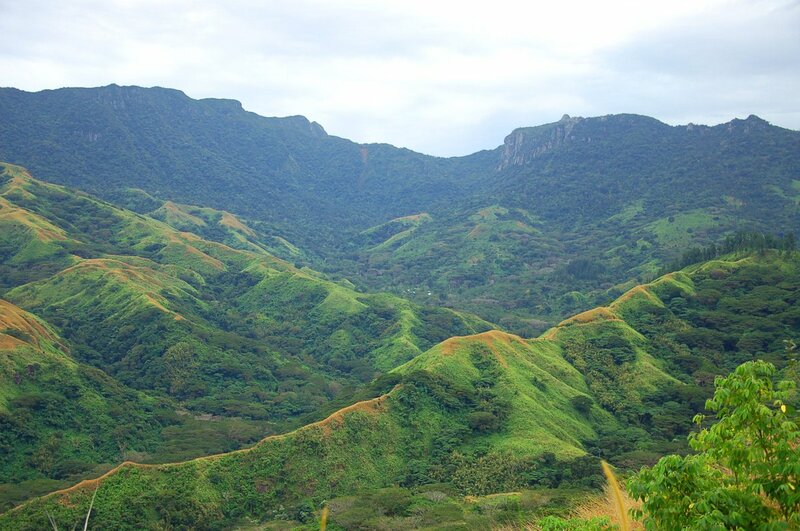 as Project Manager for the Company’s 100% owned and fully permitted Tuvatu Gold Project located on the island of Viti Levu in the Republic of Fiji. Mr. Li joins Lion One after serving three years as Project Controls Manager at Pretium Resources Inc. for the construction of the $1 billion Brucejack gold project in northern British Columbia. For Lion One, Mr. Li will oversee the design and fabrication of the Tuvatu processing plant, to be built in in China to North American and Australian engineering specifications, and its subsequent shipment, construction, and commissioning at the Tuvatu mine site in Fiji. Mr. Li’s career spans over 30 years with extensive experience in heavy industrial project and construction management. Mr. Li’s previous experience also includes positions as the Project Manager at Monument Mining for the construction of the Selinsing gold mine expansion in Malaysia, Senior Project Scheduler at SNC-Lavalin for Barrick Gold’s Pueblo Viejo gold mine in the Dominican Republic and SaskPower’s Yellowhead power plant in Saskatchewan, Project Controls Manager at Fluor Canada on the Sulfolix Copper Mine in Chile, and over 13 years as the Civil and Structural Engineer and Project Manager at China’s Dongfang Electric Corporation. Tuvatu Analytical Laboratory tendered for construction, to be located at Lion One compound, 16 km from mine site for expedited exploration and grade control sample assaying. Tuvatu is located 25 km from the international airport in Nadi, on the west coast of Viti Levu in the Republic of Fiji. Lion One’s CEO Walter Berukoff leading an experienced team of mine builders, has owned or operated over 20 mines in 7 countries. As the founder and former CEO of Miramar Mines, Northern Orion, and La Mancha Resources, Walter is credited with building over $3 billion of value for shareholders.